Your website offers the first and most important impression of your CRE business online. Because oftentimes, prospects (tenants and investors) will judge whether to engage with you by the content and character of your property presentation. This might sound harsh. But, it’s also a major opportunity that can set your CRE deals and property listings apart. People respect a property website that is clean, modern and easy to navigate. In fact, when people first lay eyes on your website, they’ll subconsciously make a host of judgments about your company’s reliability, business practices and overall quality. This is why it’s so crucial to make a good first impression on your prospects. Luckily, powerful first impressions come standard with a done-for-you SharpLaunch property website. We’ll craft your company’s online image for you. In the trillion-dollar CRE industry, your prospects expect your company to have a high-quality, authoritative web presence. Having a strong presence on the internet gives your business credibility and garners trust, and makes it known that your company is committed to client success. For example, SharpLaunch websites come equipped with ultra modern interface designs, property listing integration, interactive maps, your company branding and virtually everything to provide your prospectives with a memorable user experience. We ensure that your website’s presence is credible, professional, and optimized for maximum business success. The commercial real estate industry is active 24/7. So, it’s crucial to take ownership of a digital asset that attracts, captures and manages leads around the clock. With your own custom SharpLaunch website, you’ll have access to a digital asset that gives you great leverage when it comes to lead generation. SharpLaunch property websites are designed to immediately capture interest and engage prospects. This means more opportunities of converting potential tenants and investors to get in touch with you. Nearly 80% of investors and tenants begin their search for commercial real estate online. With this in mind, it’s critical to expand your digital footprint and make sure your property listings are search engine optimized (SEO) so they are easy-to-find on search engines like Google and Bing. With SharpLaunch, your properties will be optimized for SEO exposure and you can choose any branded domain name for your website to maximize word-of-mouth referrals, social media shares, and overall brand exposure. In addition, your property listings on SharpLaunch will be automatically syndicated and gain exposure to leading commercial real estate listings sites and portals. The status quo in CRE marketing is to simply list a property on Loopnet/Costar and leverage a broker’s network of contacts. But in the ever-evolving digital world we live in, buyer behavior is changing at a rapid pace and you need effective tools and technologies to differentiate and beat CRE competitors who are stuck with traditional marketing methods. SharpLaunch’s full-feature property websites offer universal accessibility to ensure that your prospects will be able to view your property listings, access documents, and get in touch with you from anywhere in the world at anytime. You’ll gain a significant edge over the competition because your website will constantly be at work for you. Your property website serves as an important foundation for any successful marketing effort. It is the marketing hub that can be shared and connected with any multi-channel campaign, both online and offline. This include email blasts, CRE listings sites, social media and even integrated with your own company website. 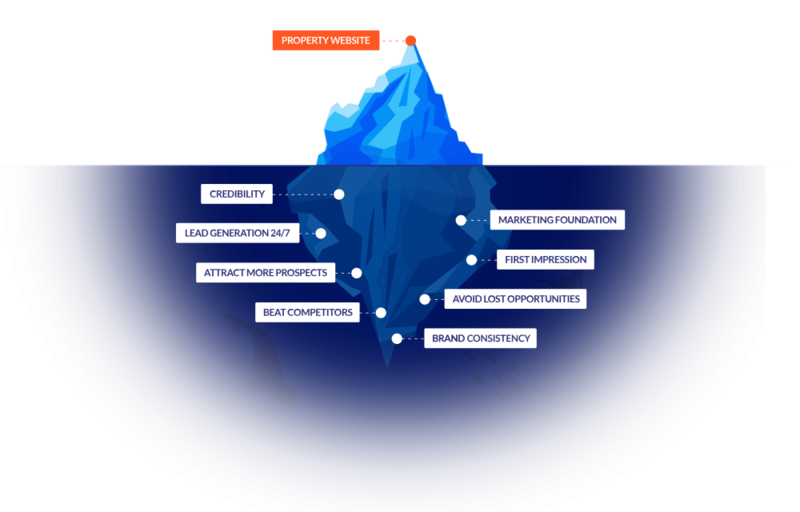 In addition, the benefit of a property website with SharpLaunch is that it equips your team with valuable marketing insights such as where your visitors are coming from and exactly who they are. The internet is full of outdated property listings. Whether the property listing is 10 days or 10 months past the closing date, the result is usually the same – a missed opportunity to impress a prospective customer. To solve this problem, SharpLaunch empowers you with an easy way to keep each of your property listings updated at all times. Your team will be supported by SharpLaunch staff to maintain your listings with accurate property descriptions, availabilities, floor plans, building specifications, photos and more. This will ensure your property listings always reflect the most current information of any available listing online to avoid any lost opportunities. SharpLaunch aligns your brand across each of your company’s websites. Your entire property portfolio ß and feature similar color schemes, fonts, photos, logos and even styles of content. This synchronization across all of your websites helps build a more professional image for your business and get your prospects familiar with your brand. It also gives your company a major boost in brand awareness by expanding your digital footprint through your property portfolio, whether they are assets you own or representing on behalf of a building owner.